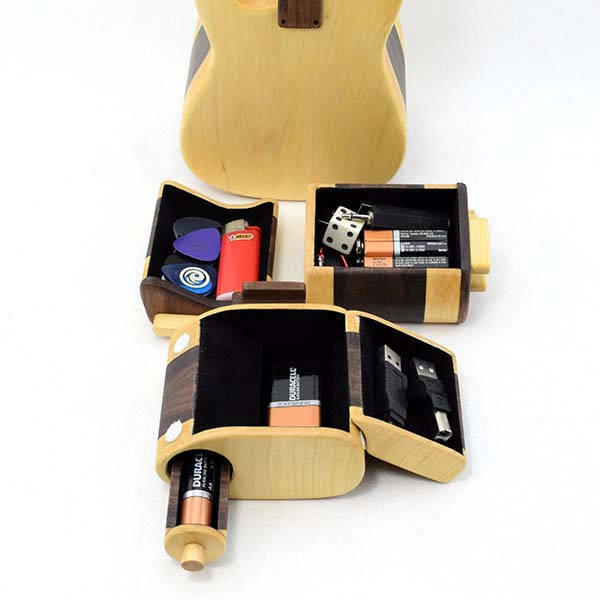 The handmade electric guitar shaped wooden jewelry box not only perfectly matches your passion for music, but also holds your favorite jewelry. Like the idea? Let’s have a look. This is a beautifully crafted and practical jewelry box handmade by RoysBox, a handicraft studio in Canada. The box measures 5 inches wide by 13-3/4 inches high by 4 inches deep. As we can see from the images, the jewelry box was built based on Fender Stratocaster, so it shows off the iconic contours and detailing from the classic model of electric guitar, while different wood colors make it more vivid. 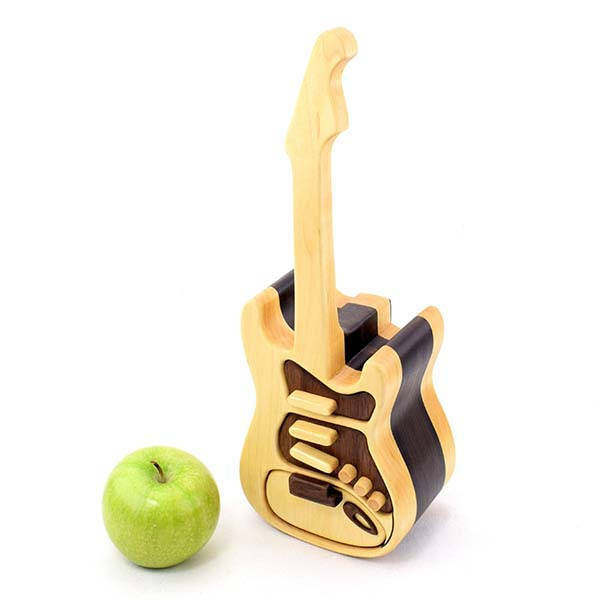 The guitar shaped jewelry box is handmade of maple and cherry for a durable construction, and the gorgeous wood grain bring more natural aesthetics to the mini guitar. The storage box comes equipped with three drawers and a removable tray to accommodate your jewels. Moreover, four anti-slip pads is arranged on the bottom, which make it stably stand on your desk as a decent decoration. 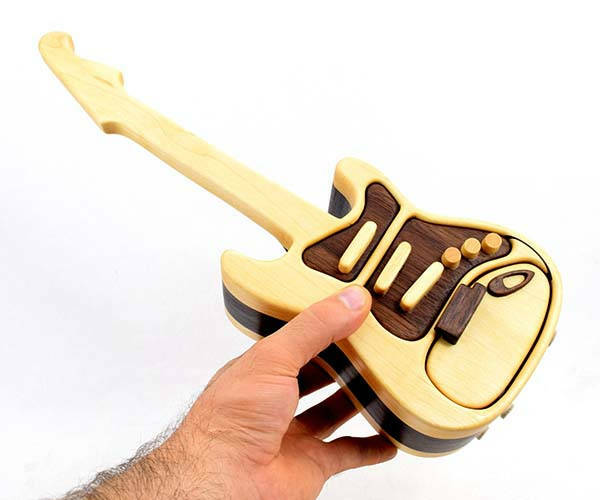 The handmade electric guitar shaped wooden jewelry box is priced at $273.76 USD. If you’re interested, jump to Etsy for its more details.